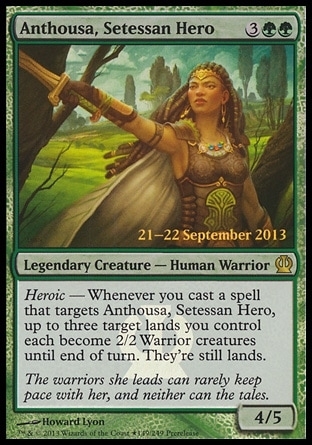 Anthousa, Setessan Hero ($0.00) Price History from major stores - Prerelease Events - MTGPrice.com Values for Ebay, Amazon and hobby stores! 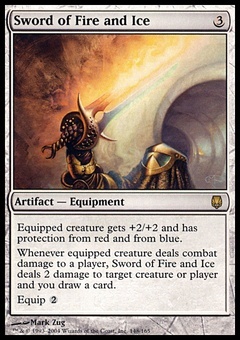 Card Text: #Heroic# - Whenever you cast a spell that targets Anthousa, Setessan Hero, up to three target lands you control each become 2/2 Warrior creatures until end of turn. They're still lands.